We’ve played our exhibitions close to the heart of late and forgone on the open calls, but the upcoming transformation of The Wunderkabinet into No. 3/The Reading Raum has us wanting to reach out to writers and zinesters around the globe. We’ll be splitting the kabinet into two components: ‘for sale’ & ‘read-only’. This means that if you’re more into the collecting than the making, you could lend or donate zines to the exhibition. 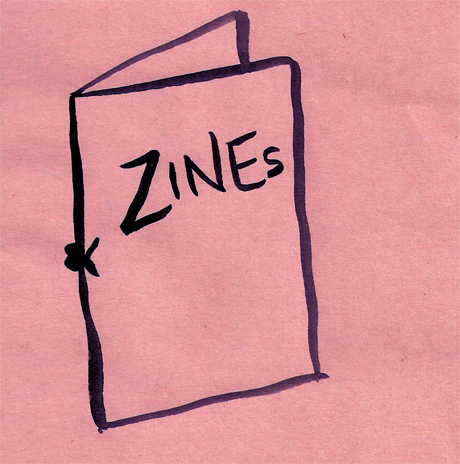 Of course, if you’re a maker of zines, books, and related ephemera, we want to hear from you, too! The deadline to get in touch with us is March 25 – please do so if you have any questions. Submission guidelines can be found HERE! No. 3 will open in mid-May and run for the summer. We first discovered the work of Rainey Nasugraq Hopson through another kabinet artist, Becky Johnson, and knew we had to get her work to Berlin. 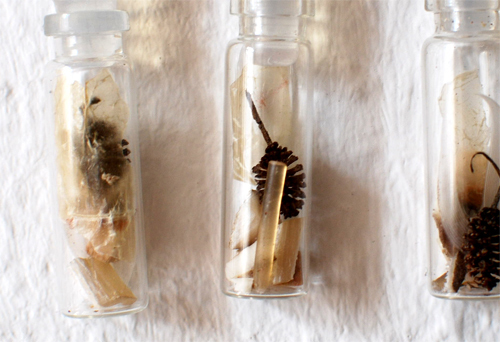 It finally happened and six vials of ‘Arctic Bits’ arrived this week. As an Alaskan Native I am very lucky to have access to materials that are specific to our way of life. Since I live a mainly traditional subsistence lifestyle, I save all the ‘leftovers’ from the animals we harvest for food and survival in the arctic. I have a huge heavy duty metal drawer that I store all of my Alaskan Native materials in. And it always seems that no matter what I do, tiny bits and pieces of those materials gather at the bottom like little escapees. They are still beautiful pieces, just too small to really do anything with them. So I made them available for someone else to admire! If you cannot visit The Wunderkabinet to view these pieces, you could take a look and purchase one here.